What is an RICS Expert Witness? An expert witness is someone with specialist knowledge of a particular area and can assist the court in a legal dispute. 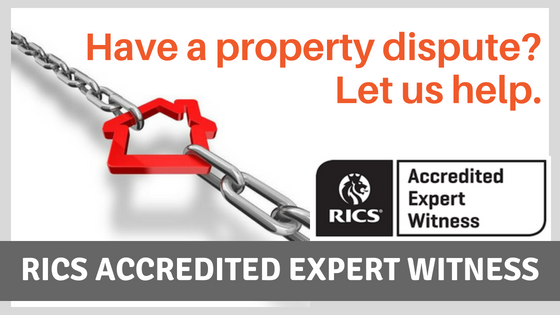 As an RICS expert witness, Peter Woodthorpe, (Managing Director at Readings Property Group) can help with valuations, boundary disputes, party wall issues and more. The initial step is to visit the property at dispute and gather all available information in order for a report to be compiled with only facts and expert assumptions. This report would comply with Practice Direction 35 as set out in the Civil Procedure Rules which requires all expert witnesses to be impartial. In fact, a court will often appoint a single joint expert (SJE) to represent more than one party involved to get an objective standpoint. The aim of the expert witness and the report is to help all parties reach an agreement and assist the court. Expertise in the relevant subject matter remains a crucial factor… and credibility of an expert’s stated expertise will inevitably be tested. It follows that an expert’s professional qualifications and experience must stack up. An expert witness must be able to demonstrate a genuine understanding of the procedural requirements for giving evidence in court and, for example, s/he must be able to meet deadlines and produce written reports that comply with requirements set out in the Civil Procedure Rules. An expert’s evidence should express an independent view that is both objective and, if necessary, critical of arguments put forward by his or her instructing party. Before accepting instructions, an expert witness must make appropriate checks to ensure s/he is not precluded from acting because of a conflict of interest. Whilst it may seem like stating the obvious, the fact is expert evidence can be undermined if the expert’s approach to preparing and writing a report is sloppy, or if the oral testimony is not argued effectively under examination. There appear to be increasing requirements by instructing parties for experts to have immense subject matter expertise, and demonstrate they have undertaken formal expert witness training.